When you are about hosting your new website or purchasing a new domain name, the name Godaddy is one of those names you want to look out for, because they are always in your face, either with advertisement, or with a great brand they seem to have carved over the years. What most people sometimes fail to realise about Godaddy is that it is just another overrated brand that bask in the glory of the past and with fierce advertisement of its opponents, it might just lose its popularity as most of my customers are moving away now, thanks to the frustrating program they still use in 2017, and their money-grabbing approach at every opportunity they can get from their clients. If you are a developer, or had worked with Godaddy in the past, Do you think Godaddy is worth spending your next dollar? Should you spend your next dollar buying anything from Godaddy? These and other questions, I will write in my review of Godaddy, based on my past and current experience with their services. Godaddy Is Not Progressive: Godaddy is an old company you know, but Godaddy is one of those companies that denies user of basic addons you should have, especially if you are using the Godaddy shared hosting. If you are hosting a small business website that requires little or no quick update, then you should go ahead and use Godaddy for your hosting, but using Godaddy for hosting a 15-20 pages of website is a pain in the wrong places. Cpanel is a file manager that allows you to upload your website files using different compressed methodology, which is sometimes the .zip method. So which means if you have a 500mb zipped folder with more than 10,000 files, you can upload the zip file rather quickly with your cpanel, and when it is uploaded, you then unzip it. This whole process can be less than 5-15mins depending on your connection. This is what most web-hosting companies now use, from Bluehost, A2 hosting, hostgator and others, but Godaddy had denied their customers of this fast approach, instead they are left with Godaddy's own file manager which is worst and goes down in the middle of an upload. The Godaddy cpanel goes down, and your zp file not uploaded. I had tried using this many times, and I always end up frustrated with this out-of-touch Godaddy file manager. It looks like something a toddler programmer had written when doing their internship in Godaddy. In one of my discussion, I have an e-commerce website with over 60,000 files, and not using the Ultimate web hosting Linux package, with my dedicated IP address. We had issues with the website after spammers invaded the site Database, so re-uploading our backup folder took around 24hours. This is actually a fact, and not an alternative. We had to do this via filezilla program to get all files online. This means if we uploaded the wrong folders, and re-do this, this will be 48hrs uploading all these files, and we run an e-commerce website, you can imagine the loss, and angry buyers that will await us, including those waiting for orders to be completed, a 10-15mins task using Godaddy file manager takes 24hrs. I had complained about this to Godaddy. Godaddy needs to update its file manager to allow fast upload of files document, as it seems buggy, stopping between uploads is not something that should happen everytime. If you want a simple folder uploaded, maybe few 100s, then the file manager is great, and you might not not experience interruption, anything else is uncomfortable. Godaddy seems to have the Cpanel package, but you have to pay an extra for it, which leads me to the second rant of Godaddy business. Godaddy Money Grabbing Strategy: Godaddy loves money, and they will do anything to get it from you. The customer service team seems to be well-trained in this money grabbing strategy, and nothing is free in Godaddy's world. No help is rendered unless you want to pay for it. Web hosting companies seems to provide some basic strategy, and one of it is Backup and restore. And some hosting companies will do a backup for you few times, and I have seen hosting companies help revive my site after an error. The site was restored to a week earlier, which was Ok. In the case of Godaddy, restoring a site, no matter what will take a chump of $150 from your bank. You will be told, "We are sorry, but unless payment is made, we cannot give you the file". To be clear on this, I think everyone should have a backup of their website, but the truth is most of Godaddy users are not tech-people with great knowledge, and that is one of the reasons they had trusted Godaddy in the first place, as it brand itself as the hosting company that will help people with less knowledge of managing their website. I have been quoted $150 twice for restoration, and you should also know that sometimes, your backup is not guaranteed, they need to check, and if they see they have it, they will ask you to pay for it. I once had issues with Bluehost SSL some months back, and I contacted Bluehost support, and help was granted. I was told where I was wrong, and it was fixed in less than 2mins, and the client had their SSL just 10mins after I was given the job. Two days ago, all was in place for Godaddy hosting, customer had issues, and in-house developer had issues, and I was called in. I tried it too, but SSL was not displaying correctly, and when I talked to Godaddy, I was told if they can deduct $90 from the card on file to fix the error. We went with another SSL certificates, and all was in place in less than 10mins. Godaddy Support: Godaddy is great in this area. The tech support are nothing but great, except the fact that when you need something, they want to sell it to you without other viable options. I know business might be about making money, but when good and viable options are available, I will prefer that is given than trying to shove everything down my throat. One of the issue beginners looking to opt-in to the digital world using a web-hosting company is a good web hosting company. There are thousands of web-hosting company out there, and they offer same packages and this sometimes looks confusing to prospective buyers, and buyers end up buying hosting that is irrelevant or cost them more going forward. Out of the hundred of hosting companies out there, I am going to help offer you an option that will help you choose the best hosting company in 2016, and why I have decided to let readers know about this hosting company. In 2016, one of the top ten hosting company in 2016 and also one of the best hosting company is A2 Hosting. A2 hosting company is a high speed hosting company that meets all the basic and the advance requirement of hosting your website. I personally have been using A2 hosting for 4 years now, and the only time I need to chat with their representatives are times I need to either upgrade or pay for my services. Aside from the different praises they get from their clients, they are one of the approved hosting company support Drupal CMS. Professional/Friendly Customer Service: One of the perks of using A2 hosting is the professional service their customer services offer. The customer service of A2 hosting are always on deck to listen to whatever you need help doing. They will help you with setting up your account, advising you on the best package to purchase and other questions you might have. All you need to do is click on the live chat to chat with an agent who will assist you. If you have an emergency issue and you prefer calling, you can also use the number at the upper left to call them, it is also a 24/7 services, which means you can call at anytime. If you are outside USA and scared of your phone charges, use Skype to ring that same number and you will be fine. It takes me to google search to find where to chat with support on Godaddy, and it is a pain on its own calling Godaddy. But A2 hosting, it is always there for you to use their call them for help. Cheap Domain/Web Hosting: A2 hosting offers one of the best cheapest domains and Web hosting i ever came across. Which means that for $3.92/month you can run your website with great uptime. And this is the fun part, unlike most web-hosting out there, you can get even cheaper web hosting if you busying 6-12 months of hosting if you can search for discount coupons. All you have to do is get on Google to search for "A2 coupon codes" and you can slash off 50% off the money you were supposed to pay. If you are doing web hosting on A2 hosting, you can get to host your domain for free and you get to enjoy all the perks that come with that package. Recommended For CMSes: Not all web hosting companies have the capability of running a CMS website. If your hosting company can't run your particular CMS website, it will cost you downtime, and downtime will cause you grumpy customers. So if you are using Wordpress, Drupal, Magento, Presta shop, B2evolution, Joomla and other CMSes, then A2 Hosting is what you want to use to host. They offer support sometimes for your CMSes if it is within their reach, or will advise if you need to contact your developers. The servers are modern and can handle most small, personal and corporate business. They will host from low traffic to high traffic websites. If your issue is downtime for your website, then i will recommend you use A2 hosting. You can chat with them and talk about what you intend to host on their platform, and they will let you know if you will be fine on shared hosting, VPS hosting, cloud or dedicated hosting services. Cpanel Aministration: There are lot of admin panels to monitor your website on different web hosting company platform, but believe me when I tell you that the best is Cpanel. Cpanel offers you better administration for your web hosting. The icons are simple to use and navigate and won't waste either your time or developer's time. A lot of hosting companies out there offers you services that are not easily navigated, and are always throwing errors your way, but with the A2 hosting services, you can sure of a very simple to use administration panel to host your website project. Speed: A2 hosting great speed unlike various traditional hosting. 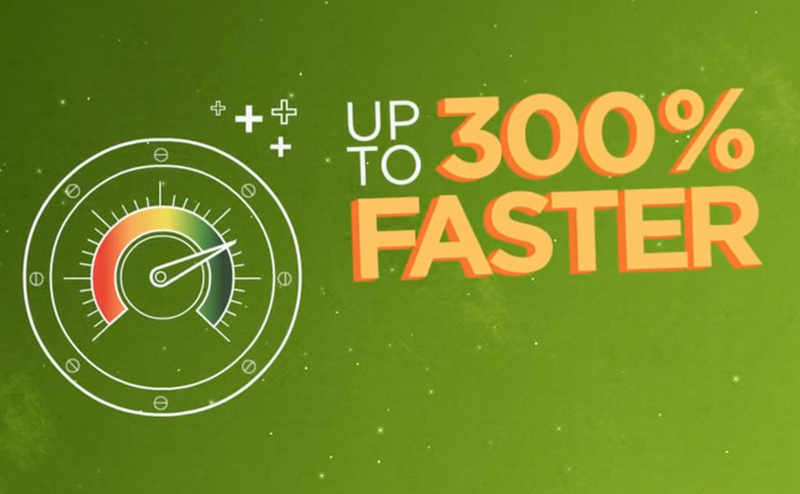 Their SSD packages offers more speed at 0.3 seconds compared to other web hosting company that is 1.1 or 1.2 seconds. Some offer lower speed which might let customers leave your site and affects your SEO too. If you need help with A2 hosting or more reasons to use their services, please comment below. And if you are a customer of A2 hosting, write your testimonials below.